Posted on June 20, 2013 at 10:00:00 am by Molly Z. Get ready for a cool summer! 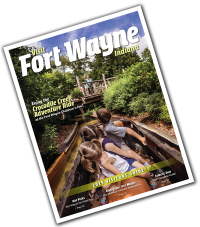 Fort Wayne Parks and Recreation has opened the city’s seven splash pads at many area parks. 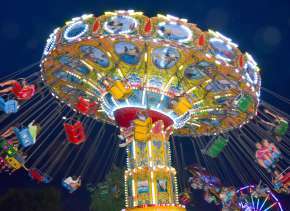 These free attractions will be open daily until Labor Day. Splash pads turn on when you push the green button on the top, and water will spray all over for a four minute cycle. Simply push the top as many times as you’d like to continue to cool down on hot summer days. Water will shoot out from the ground, from sprayers, and from other surprising places. Children should come prepared to get wet at the splash pad—bathing suits are recommended. 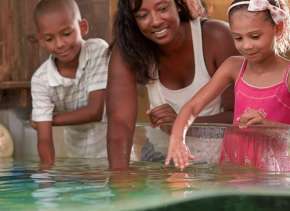 Splash pads are appropriate for children of all ages and developmental levels. 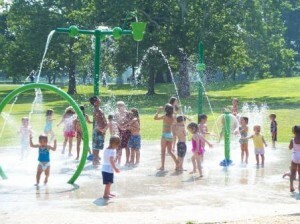 The Splash Pad at Kreager Park is located in the Taylor’s Dream section, where children of all abilities can easily play. Fort Wayne’s city pools are also open for the summer. All regular hours for Northside, McMillen, and Memorial Pools will begin on June 8. Splash pads at Buckner, McCormick, Memorial, Shoaff, Kregaer, and Waynedale Parks are open from 9 a.m. to 9 p.m. 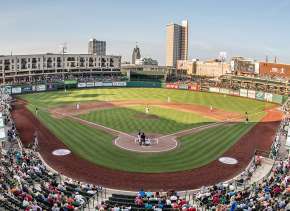 The splash pad at Robert E. Meyers Park, just inside Parkview Field, is open from 9 a.m. to 11 p.m., and is closed three hours before and during all TinCaps games. Insider Tip: Bring lunch or a snack to the splash pads. Kids can run around and get wet, and the entire family can enjoy a nice lunch in the park afterward.